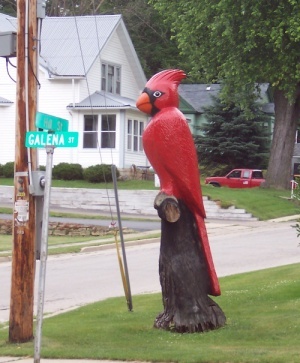 Quickie Summary: State “Trunk” Highway 23 connects a veritable plethora of sights in Wisconsin. From the beautiful hills and history of the Lead Mining Region to the Frank Lloyd Wright architectural sites, from the Dells and lakes of central Wisconsin to the booming golf and resort areas of Sheboygan, Highway 23 provides plenty of things to see and do along its route. 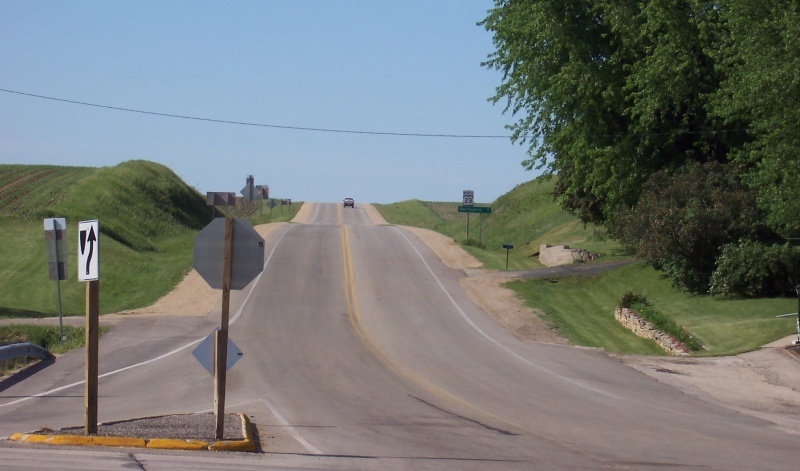 The Drive (North To East): You start in a relatively remote area: at the intersection with Highway 11 near Shullsburg in southwestern Wisconsin. This is an area of rich minig history and incredible beauty. A good start is actually just west of Highway 23: check out Shullsburg (pop. 1,226) itself, an old lead mining town that has preserved its older buildings well. 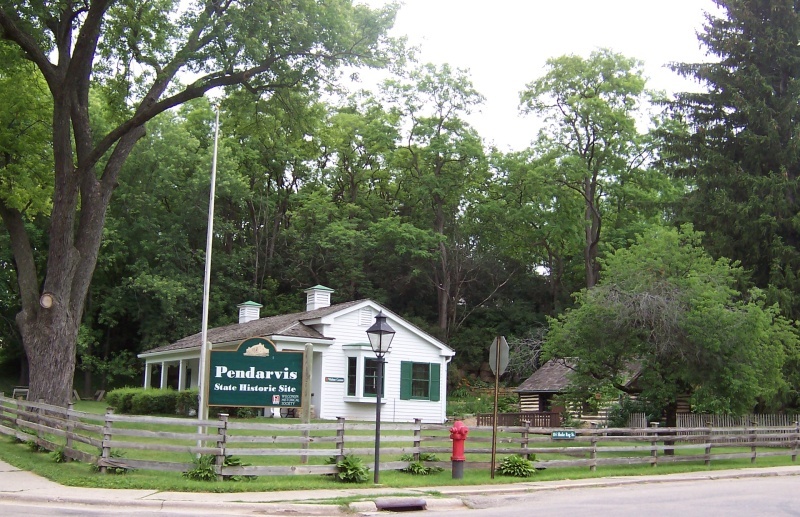 The Badger Mine and Museum (279 W. Estey Street, 608-965-4860) features exhibits on lead mining, cheesemaking and lets you tour a more recent mine. The Brewster Hotel sign is an interesting artifact: check out the bullet holes from a 1927 robbery by Chicago mobsters. Plenty of food, stores, scenery, history and quaintness await in Shullsburg. 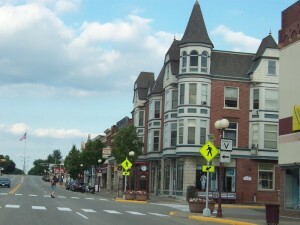 Looking down Water Street in Shullsburg, now a National Historic Landmark. Filled with antique shops, boutiques, historic guest rooms and places to imbibe in food and beverage, this is a good place to start before heading east on Highway 11 for about six miles and hitting Highway 23. Once on Highway 23, you make your way north through Lafayette County toward its county seat. After hooking up for a spell with Highway 81, Highway 23 enters Darlington (pop. 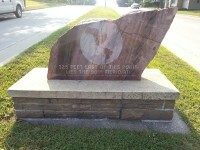 2,418), which calls itself the “Pearl of the Pecatonica River.” The “pearl” part harkens back to the time when people harvested clams out of the river, apparently to produce pearl button blanks. The whole area is drained by the Pecatonica River and its many tributaries, which carve out the beautiful hills and valleys characteristic of Lafayette County. Author Sylvan Muldoon, who was big on writing about out-of-body experiences, hailed from Darlington. 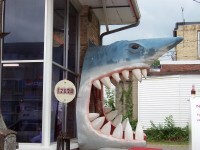 Some notable animals in Darlington: a cardinal on the south end of town along Highway 23/81 and a shark emerging from a gas station both catch your attention right in the downtown area. Darlington’s school mascot is the “Redbirds”; not sure why the shark is there. Highways 23 & 81 through downtown Darlington; the main street is a pleasant little boulevard with plenty of parking, good architecture and shops to see on both sides. Highway 81 joins briefly through town..
Highway 81 hooks up with Highway 23 for the ride south out of Darlington; it’s hilly and beautiful and filled with old haunts. Between Darlington and Mineral Point is the former site of Fort Defiance, built in 1832 in the wake of the Black Hawk War. 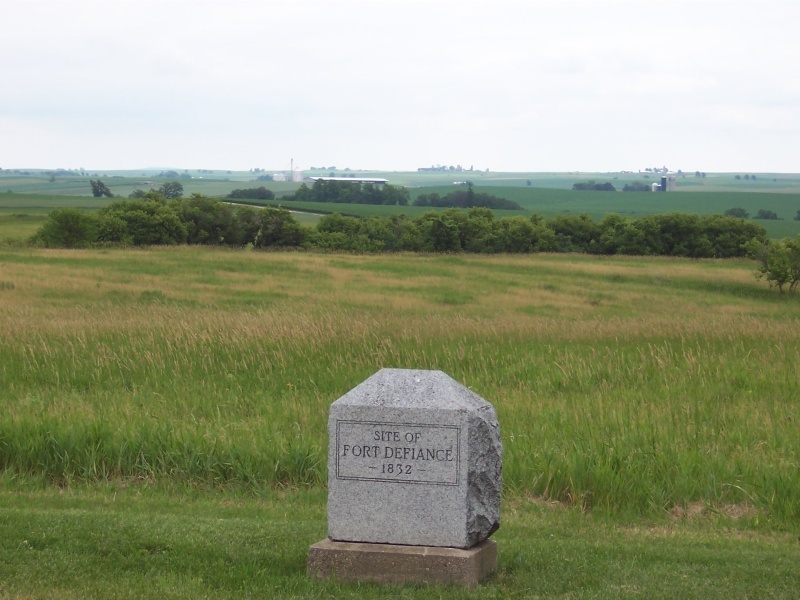 It was one of the last garrisoned stockade forts built in Wisconsin, measuring 80 feet wide, 120 feet long, and 18 feet high with two blockhouses – and yet no trace of it remains, other than a marker. Weaving through the terrain further north brings you to Mineral Point (pop. 2,617), another town chock full of history. 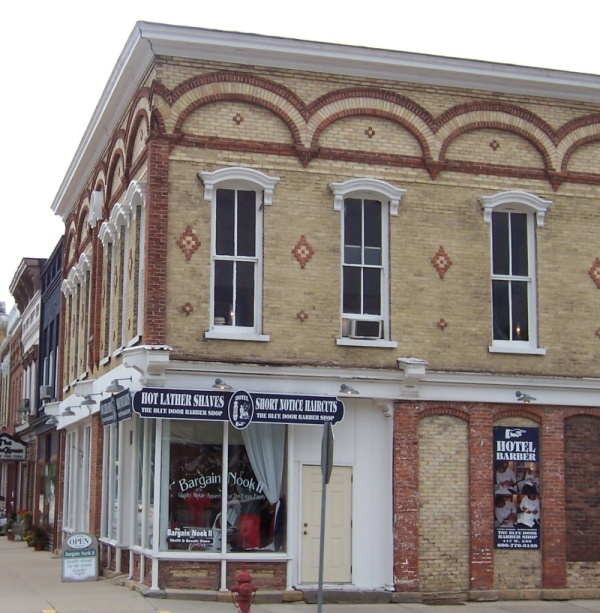 In fact, it’s the first town in Wisconsin to be named to the National Register of Historic Places. As gold was to California and gambling is to Nevada, lead made the Mineral Point area of Wisconsin a sought-after destination in the ’30s and ’40s… and we’re talking 1830s and ‘40s. Lead and zinc mining was grueling work, and those who endured the brutal winters became known as “badgers” because they burrowed into the ground like the furry creatures. Their influence lives on as the state’s nickname and, of course, the UW-Madison mascot. Mining was so important to the state that in 1848 when the state seal was established, one of the four images on the seal was that of a miner’s ax. Mineral Point claims the title “where Wisconsin began,” and the handsome buildings along High Street attest to the new wealth and impressive designs of the day. The city lost by one vote to Madison when the state’s capital was selected. 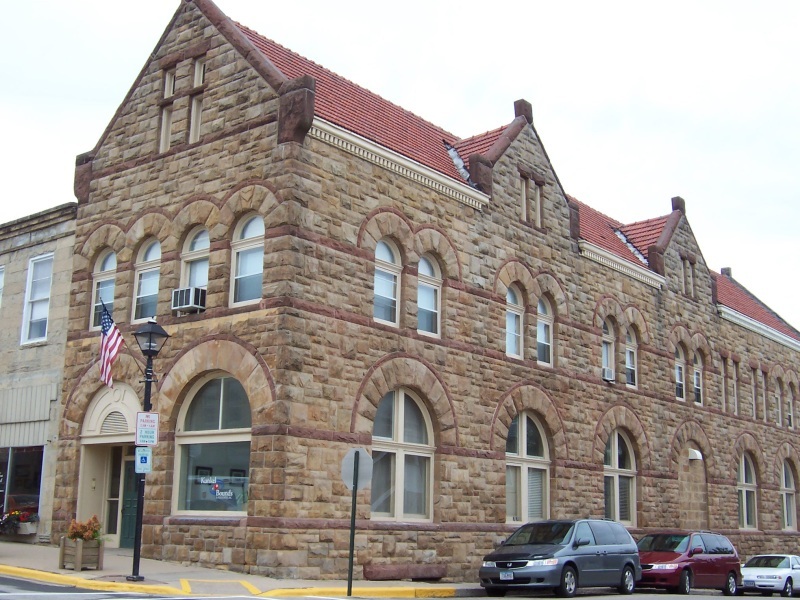 While he waited for the capitol building to be established in Madison, Wisconsin’s first governor, Henry Dodge (who also has a county named after him), maintained an office in Mineral Point’s courthouse. Mineral Point has many small shops offering antiques, galleries and artisan crafts. Highway 23 goes right past the downtown area, which is best accessed via High Street. 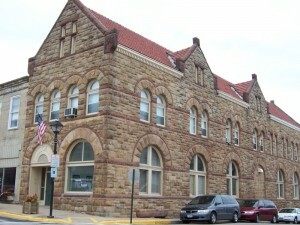 The handsome Mineral Point Opera House (139 High Street, 608-987-2516) was built in 1914. It started as a vaudeville and performing arts house and continues to feature live performances from theater groups and world cinema brought by the Mineral Point Film Society. 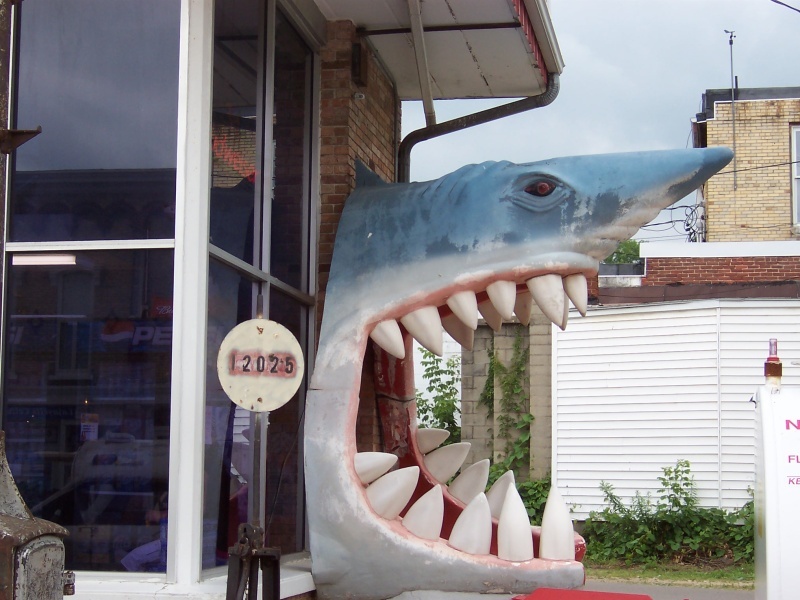 A big attraction in Mineral Point is Pendarvis (114 Shake Rag St). Owned and operated by the State Historical Society, it’s a complex that shows visitors what life was like during the 1830s, including the day-to-day tasks of miners and their families as well as superstitions and traditions that influenced them. 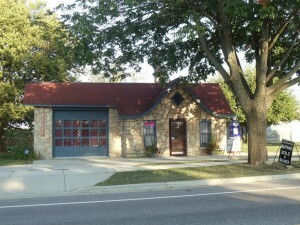 The Mineral Point Depot (13 Commerce St.) is the oldest surviving railroad depot in the state. 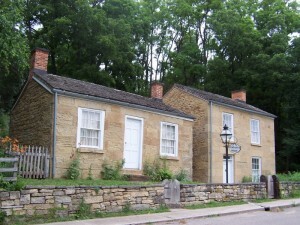 Originally built in 1856 and restored in 2004 by the Mineral Point Restoration Society, it now hosts a museum. 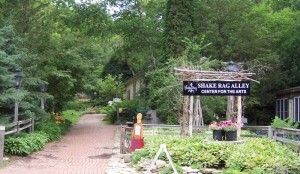 The Shake Rag Alley Center for Arts & Crafts (18 Shake Rag Street, 608-987-3292) features displays, workshops and classes on a 2.5 acre campus featuring gardens, trees and brick pathways. 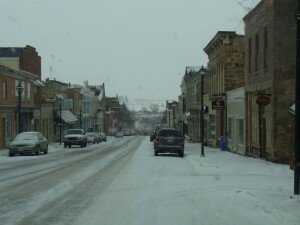 Shake Rag Alley was the original business district of Mineral Point and contains log cabins and other buildings dating back to 1828. Local lore says “Shake Rag” got its name because women would “shake rags” to let the men know it was time to eat. They were quieter than dinner bells, I guess. Heading out of Mineral Point, Highway 23 heads north along what was also the “old” U.S. 151 highway for about two miles until it meets up with the “new” U.S. 151, an expressway that now runs complete from Dubuque, Iowa to Madison. This is the first of several segments where Highway 23 is four lanes and/or part of a freeway. This stretch multiplexed with U.S. 151 is quick, though: it only lasts about four miles. There are some cool rock cuts along the way, along with a mass of windmills to the west, part of a massive wind power generating farm. 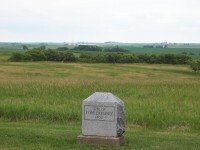 U.S. 151 breaks off toward Madison and Highway 23 continues north into Dodgeville (pop. 4,220), the county seat of Iowa County and home to Lands’ End. In local lore, Dodgeville and Mineral Point went to “war” over which town should be the county seat, and supposedly some Mineral Point residents actually fired a canon toward Dodgeville. 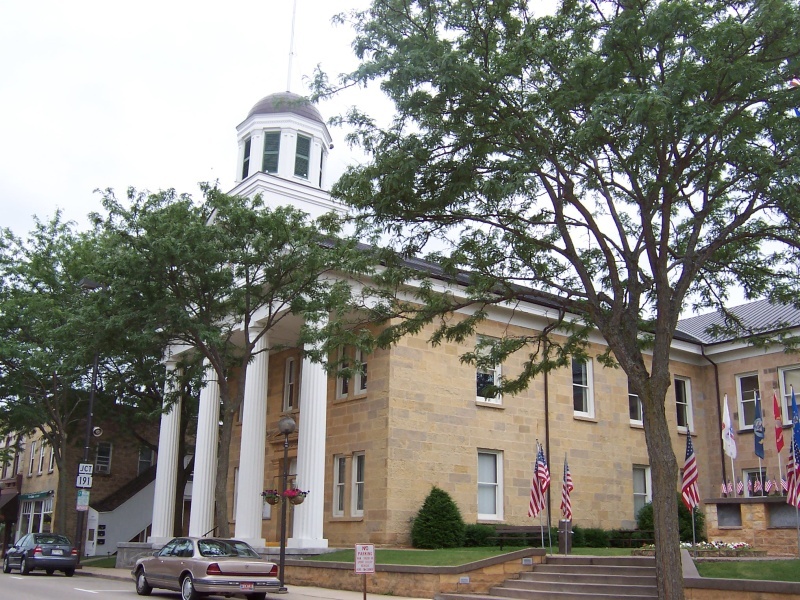 Either way, Dodgeville won the county seat and today has the oldest active county courthouse in Wisconsin; its cornerstone was laid in 1859. The Military Ridge State Trail, a popular recreational trail following an old military road dating back to 1855, starts in Dodgeville and runs 40 miles east to Fitchburg. 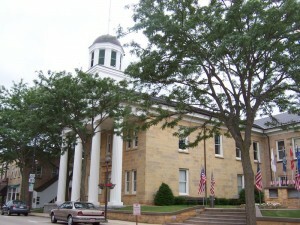 Along Highway 23 in downtown Dodgeville is the Iowa County Courthouse, the oldest in the state of Wisconsin. 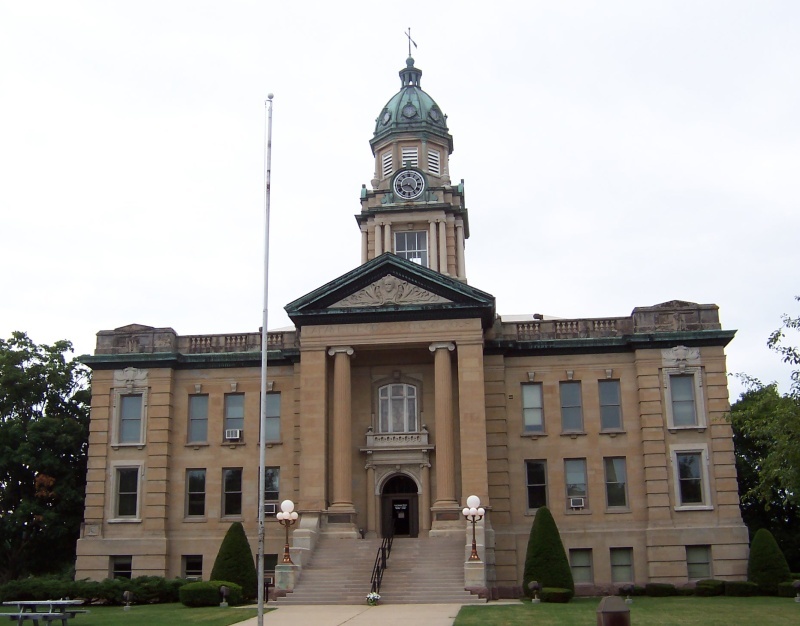 Started in 1859, dedicated in 1861 and expanded or renovated four times since, the Galena limestone used in its construction was quarried just north of town. 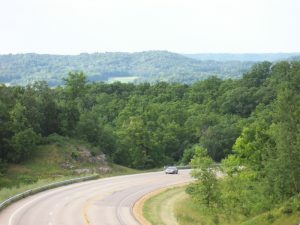 Highway 23 runs through the heart of Dodgeville before crossing U.S. Highway 18 and approaching Governor Dodge State Park, one of the largest in the state at 5,270 acres (just to give you a sense of the size, one square mile is 640 acres). 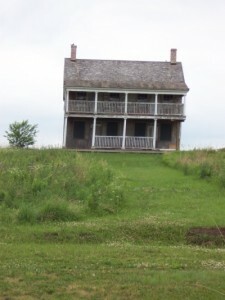 The whole area has many scenic bluffs, but Governor Dodge State Park is a great place to see quite a few of them. The Park also features two lakes, a waterfall, abundant wildlife, original spring houses built by early settlers, 267 campsites, 77 electric sites, winter camping, boat and canoe rental, programs, marked beaches, 2 miles of nature trails, 26.6 miles of hiking trails, 24.7 miles of horseback trails, 10.3 miles of off-road bicycle trails, 15 miles of snowmobile trails and 18.1 miles of cross-country ski trails. But that’s all. 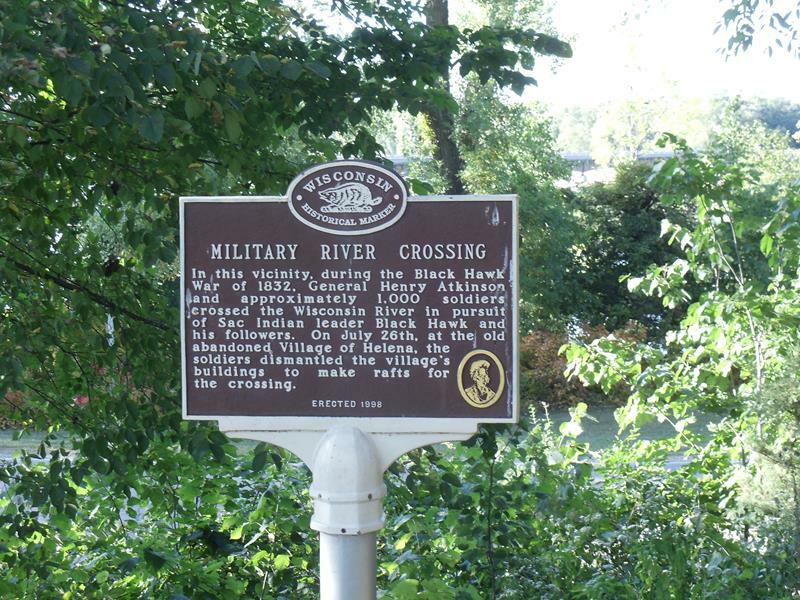 Above: This marker notes a former military crossing of the river during the Black Hawk War; the crew dismantled parts of a town to get the wood for raft-making. 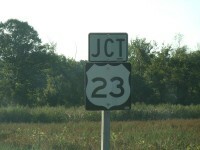 At right, a side road approaching Highway 23 tells you it’s U.S. 23 – which is wrong, because that road runs from Michigan to Florida. 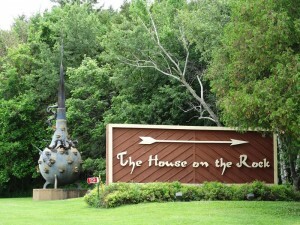 Just north of Governor Dodge State Park is the ever-famous House On The Rock. What is it? 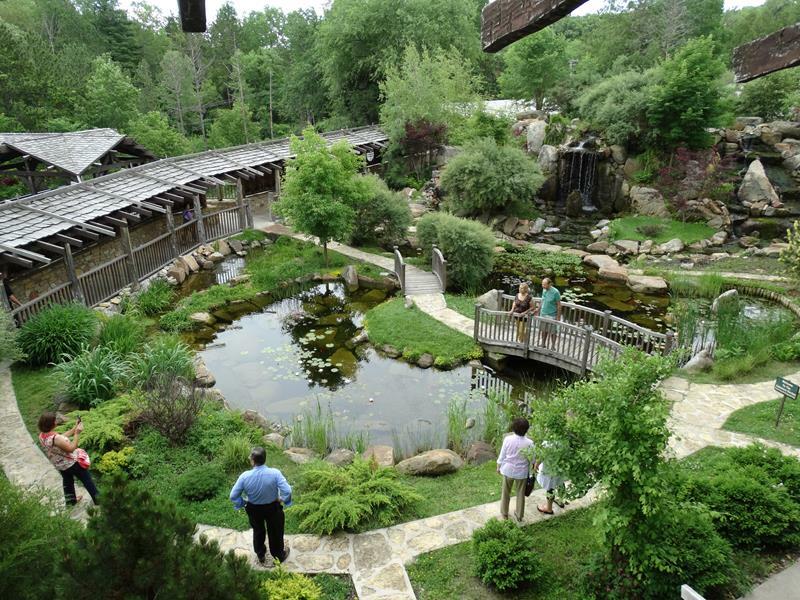 It’s a 200-acre complex with architectural wonders, electic art collections, gardens and yes, a Japanese-style house perched on what’s called Deer Shelter Rock, overlooking the Wyoming Valley. Its inspiration came from a feud between creater Alex Jordan Jr.’s father and the legendary Frank Lloyd Wright that dated back to the 1920s. Apparently, Frank Lloyd Wright has some less-than-flattering comments about Jordan Sr.’s architectural talents. 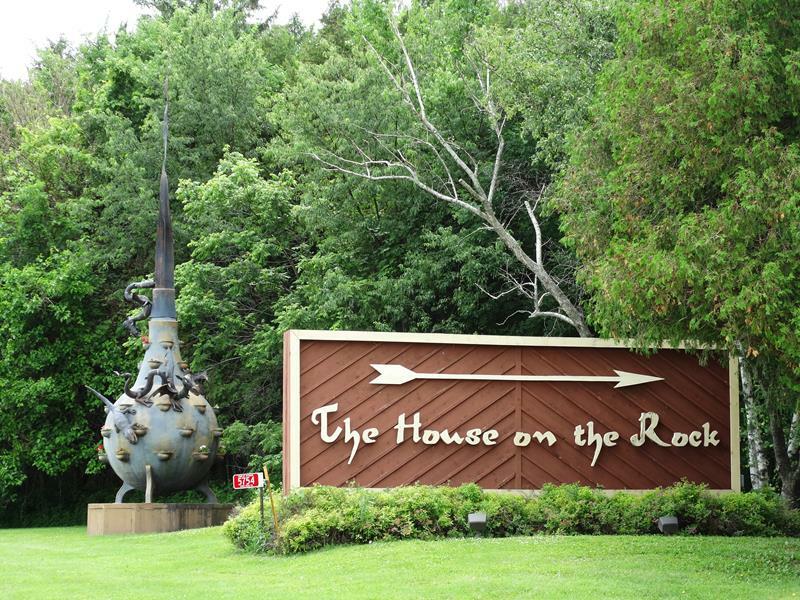 IN 1945, Jordan Jr. began construction of the house on his favorite rock and by 1959, a stone marker placed along Highway 23 announced to travelers that The House On The Rock was open for viewing. The Infinity Room is quite a trip! Financed by tour fees, a series of additions since then include 1968’s “Mill House”, which holds one of the world’s largest fireplaces; a “Streets of Yesterday” exhibit, introduced in 1971 and inspired by a similar exhibit in the Milwaukee Public Museum. The “World’s Largest Carousel” opened in 1981 and the “Infinity Room”, perhaps the most dramatic, came along in 1985. The Infinity Room literally projects 218 feet out over the valley; the walls are made of glass with reinforcements (3,264 windows in all), so visitors can walk out above the forest floor, which beckons 156 feet below. Quite visible from the surrounding area, it’s probably one of the more unique rooms in the world. House on the Rock includes several other buildings, centered around gardens, ponds, bridges, and walkways. Incredible art? Haunting vision? Psychedelic dream? 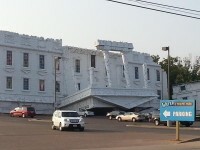 The House of the Rock lets you view and interpret as you wish. 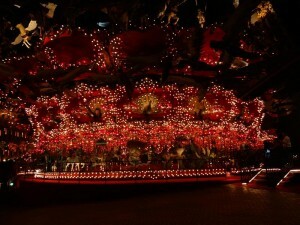 The World’s Largest Carousel sits inside House on the Rock. It’s almost mesmerizing to watch. The House of the Rock’s “World’s Largest Carousel” features over 20,000 lights, 269 animals, and – interestingly – 182 chandeliers. It’s 80 feet in diameter and weighs 36 tons. The presence of House On The Rock adds to a very cool Scenic Overlook area along Highway 23 just north of the attraction’s entrance. Each direction of the highway has its own side access to an overlook, which connects via a pedestrian bridge over the road. 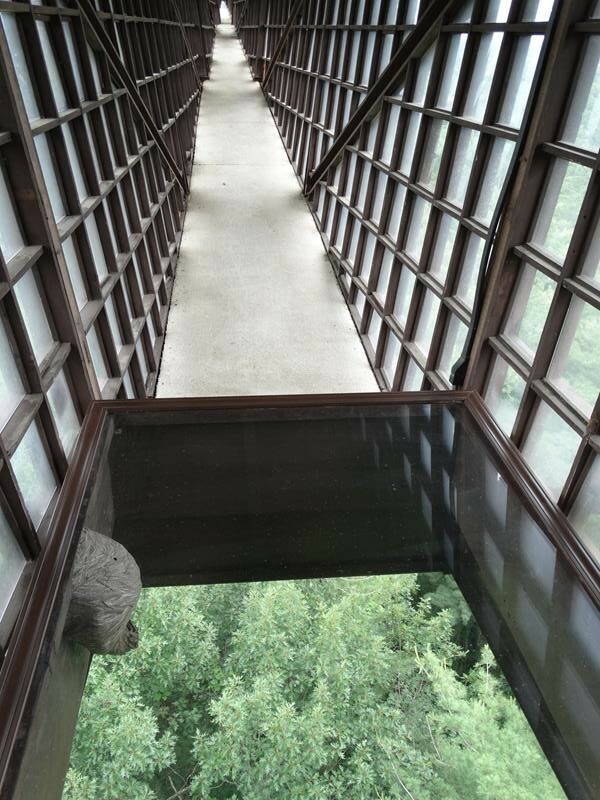 The view of the House’s Infinity Room, the Wyoming Valley and all the surrounding terrain makes for a great stop. A view of Wyoming Valley, behind the ridge where Highway 23 runs. 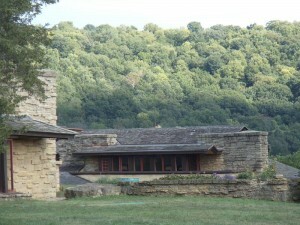 House on the Rock is just to the left in this picture; Frank Lloyd Wright’s Taliesin is a few miles ahead. This area is a haven for artists and architects; it certainly was for Frank Lloyd Wright, who was born in Spring Green in 1867. 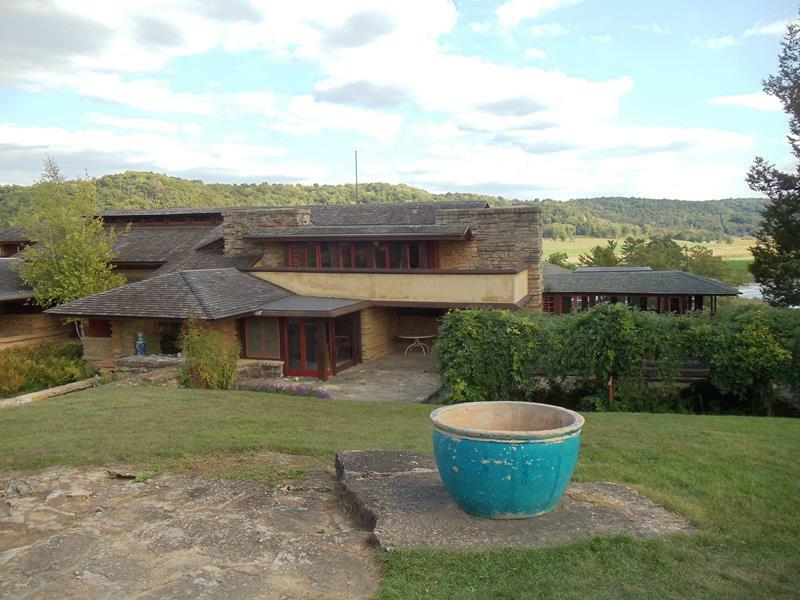 He started building his summer house, called Taliesin after a Welsh bard, in 1911. It took decades to develop, including recovery from a devastating attack in 1914 where a chamber boy set fire to the house and murdered seven people with an ax while the fire burned. Wright himself was in Chicago on a project at the time, but his lover (a former wife of one of his clients), her two children, a foreman, a draftsman, a landscape gardener and the son of a carpenter were all victims. The living quarters were rebuilt, yet destroyed again by fire in 1925. The third incarnation of Taliesin was survived intact since. Taliesin is where many of Wright’s most famous structures, including New York’s Guggenheim Museum, were designed. In a nod to snowbirds everywhere, Wright also established a Taliesin West in Scottsdale, Arizona. But since that’s nowhere near State Trunk Highway 23, it’s not part of the Tour. 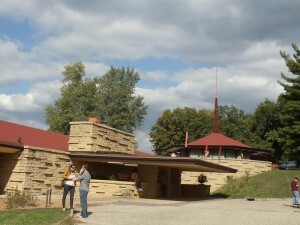 The Frank Lloyd Wright Visitor Center is located just off Highway 23 on County C, across the Wisconsin River’s southern bank. 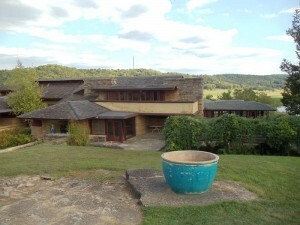 Taliesin itself is on the other side of 23, about half a mile south. 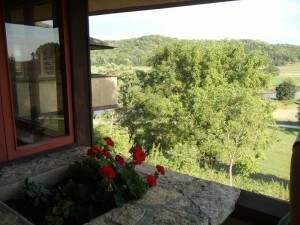 You take a shuttle bus from the Visitor Center to access Taliesin’s property. 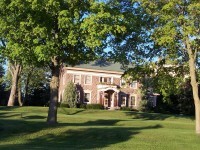 Tours are available May 1 through October 31 seven days a week, and Friday through Sunday in April and November. 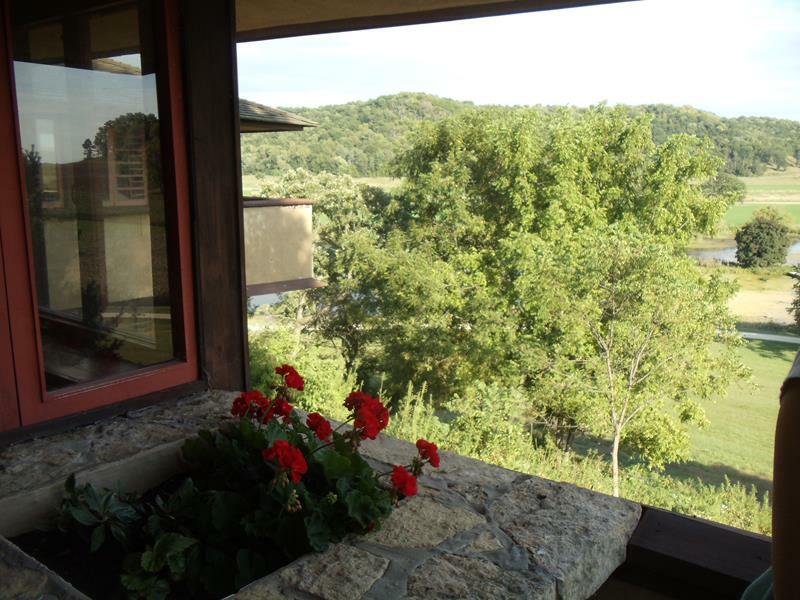 The beauty of Taliesin and the surrounding landscape is definitely worth the price of admission. 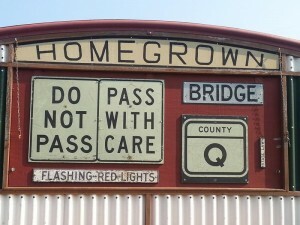 Crossing the river on Highway 23 brings you into Sauk County and Spring Green (pop. 1,444) itself. Along with the architectural wonders and natural scenic beauty, you can get Shakespearean in Spring Green at American Players Theatre, one of the most popular outdoor classical theaters in the U.S. Set in a natural amphitheater in the woods near the Wisconsin River, APT entertains audiences with rotating plays while working to educate students on theater in general. If you’re getting a way early start on a weekend jaunt, try hitting APT for “Skippeth-Out-Of-Work-Early” Thursday nights. A one-time gas station in Spring Green is indicative of the native stone and beautiful architecture of the area. This is right along Highway 23, just south of U.S. 14 and Highway 60. Wright’s influence in Spring Green is unmistakable. This is a bank in town. Highway 23 comes to a junction with U.S. 14 and Highway 60 and hooks up with them briefly before, alas, the quickie is over and Highway 23 heads north by its lonesome again. North of Spring Green, it’s more of the Driftless Area’s beautiful bluffs and rolling hills. 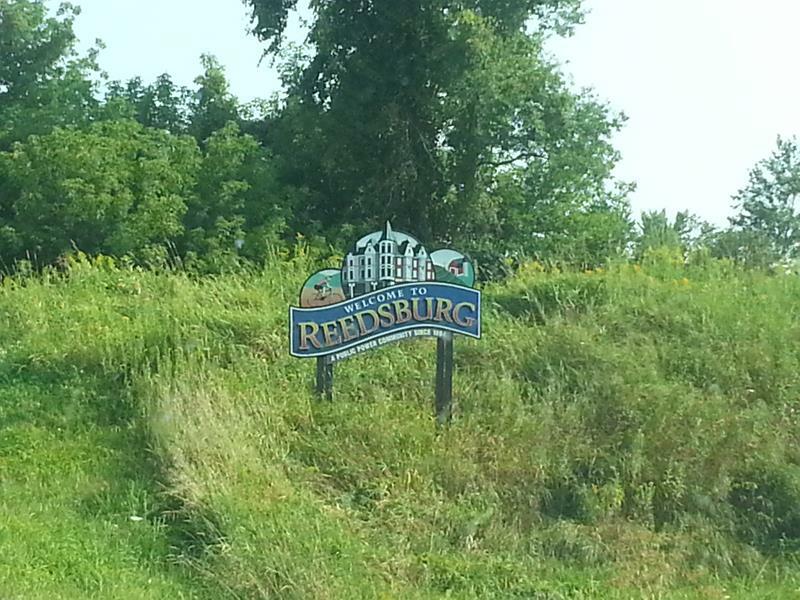 This is through Plain, on the way to Reedsburg. The views are great as you zoom up and down hills and wind through valleys, past hamlets like Plain (pop. 792) and Loganville (pop. 276). Plain, interestingly, has been considering a name change since 1915, when a reader to the local newspaper wrote a letter to the editor. No rush, though. Further north, Highway 23 heads into Reedsburg (pop. 8,704), where it hooks up with Highway 33 for the ride through downtown. The Museum of Norman Rockwell Art (227 S. Park St.) features almost 4,000 of the famous artist’s works. Speaking of artists, famous comic artist and cartoonist Clare Briggs hailed from Reedsburg. It’s also the starting point for the “400” State Trail, which runs to Elroy as part of the state’s increasingly-extensive rail-trail system for bicycles, hikers, cross-country skiiers and snowmobilers. This marker almost marks the exact spot of the 90th meridian, the halfway point between the Prime Meridian and the International Date Line. The actual spot is within a few hundred yards – but why don’t they just put it right at that spot?? Reedsburg sits on the 90th Meridian, which marks the halfway point between the Prime Meridian (which runs through Greenwich and London, England) and the International Date Line, marking the exact center of the Western Hemisphere. A marker in the median of Highway 23 notes the meridian’s location – actually, for some reason, it sits 325 feet west of it. The city once hosted a World War II POW camp and pioneered both the first Ford dealership and the first sanctioned Little League in Wisconsin. On the way out just east of the city, the Pioneer Log Village and Museum provides a first-hand look at log buildings, antique furnishings and a glimpse of what life was like in the 19th century frontier days. Tours are available from 1-4pm on weekends during the summer. Also in summer, Reedsburg holds its annual Butter Fest. 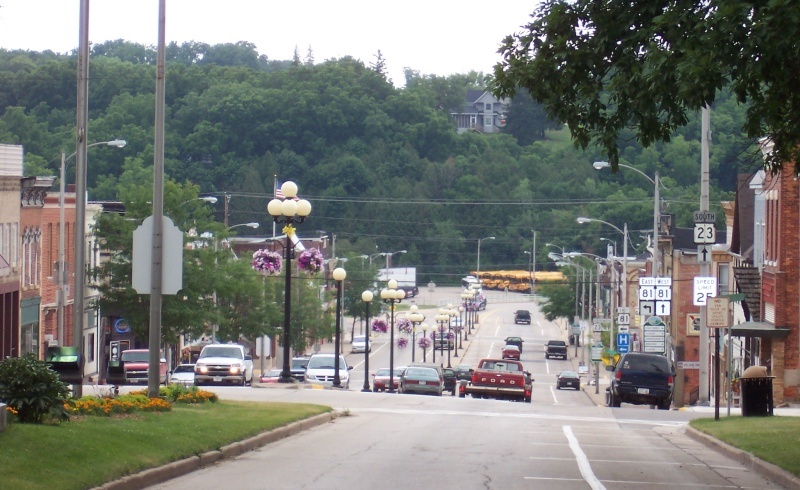 Downtown Reedsburg, which Highway 23 goes right through as the main street along with Highway 33, extends for a while with storefronts on either side. 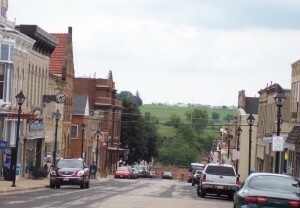 It’s a wide street compared to most smaller towns’ main streets, and the views – especially of the Baraboo Bluffs – show the beautiful topography that beckons. 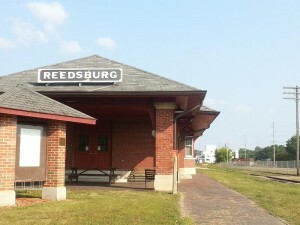 Built in 1906, the Reedsburg Train Depot served passenger traffic until 1963. Today, it’s a popular stop along the “400” Bicycle Trail, which runs on the railbed of the former train between St. Paul and Chicago. We spotted this on a trailer sitting by itself in Reedsburg. What’s it about? We don’t know, but being sign geeks we liked it! 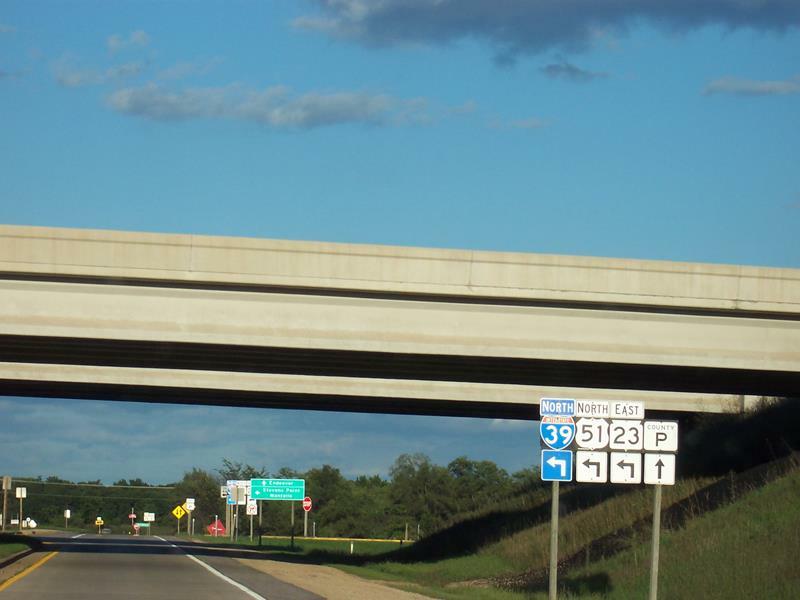 For several miles east of Reedsburg, Highways 23 and 33 hang together until 23 breaks to the northeast for a weaving 6-mile jaunt through portions of Mirror Lake State Park and a junction with I-90/94. 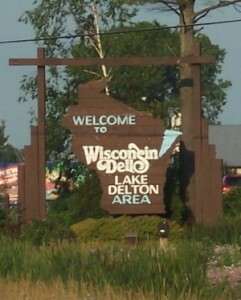 And right away, you enter it: the Dells. Taking Highway 23 past the I-90/94 interchange and you immediately come upon Lake Delton (pop. 1,982), which pairs with the city of Wisconsin Dells (pop. 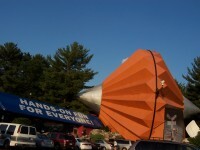 2,418) to make up the gargantuan land o’tourism known at the Dells. Ah, Wisconsin Dells, the “Water Park Capital of the World” and Wisconsin’s most popular vacation destination. 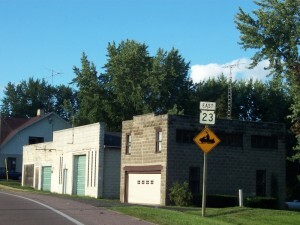 Highway 23 comes into the area and immediately, the architecture changes. The vibe changes. And the amount of traffic changes. 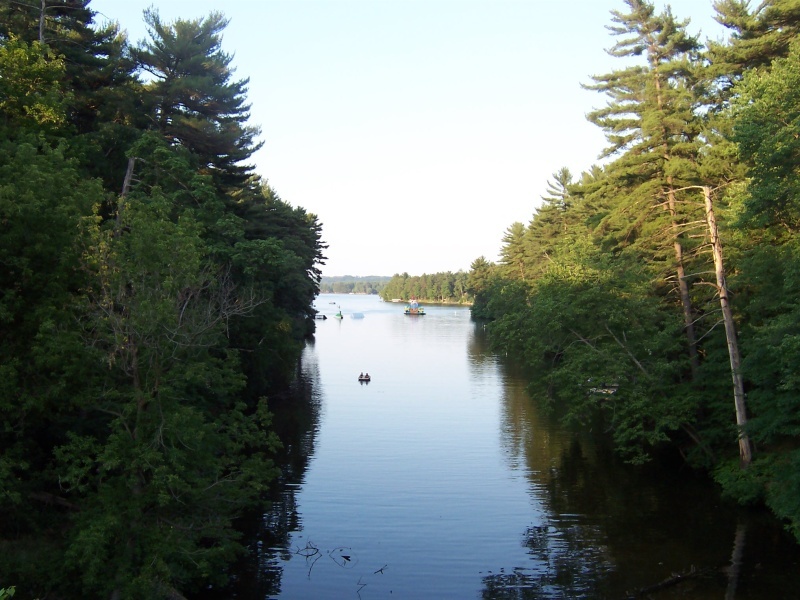 When people refer to “Wisconsin Dells”, they usually mean the whole area, including Lake Delton and the region up and down the Wisconsin River, whose gorgeous ‘dells’ and gorges give the area its name. Wisconsin Dells itself started out as Kilbourn City in 1857. It was named after founder Byron Kilbourn, who also played a major role in getting Milwaukee started as a city one decade earlier. Renamed Wisconsin Dells in 1931, the city set the state’s high temperature record of 114 degrees Fahrenheit five years later. But indeed, it gets cold here, too, which explains why so many waterparks offer indoor facilities.It’s also chock full of foreign workers, many of whom are college age from Eastern Europe and South America. 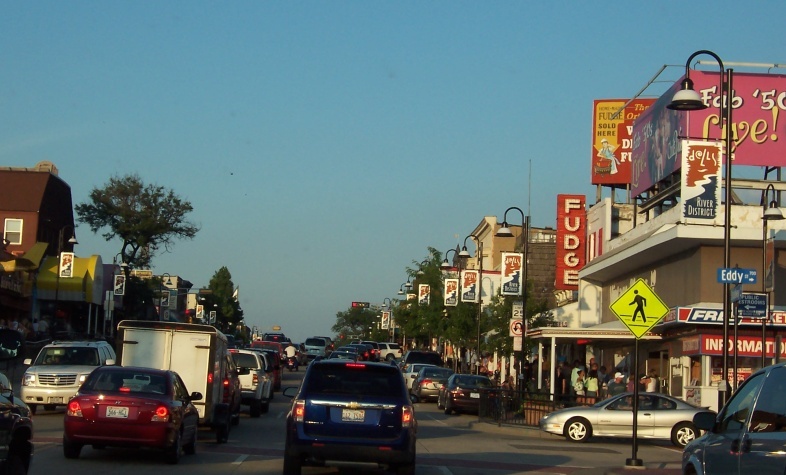 Time magazine actually named it one of the “Best Places for College Students to Work during the Summer” in 2004, proving there’s a list for nearly everything. Highway 23 crosses over Spring Creek, giving a peek towards Lake Delton. Highway 23 meets up with U.S. 12 and joins it heading northbound into a vast array of sights: the Crystal Grand Theater, roller coasters, mini golf courses, ferris wheels, waterparks, upside-down White Houses (a place called “Top Secret”), plastic pink flamingos, motels, hotels, ski jumps in bodies of water… it’s all along this stretch. The world’s largest Trojan Horse can’t be missed. I mean, it’s right there. Motels, pedestrians and stray beach balls line this stretch, with skywalks allowing pedestrians to avoid traffic and/or winter; and as you can see, traffic can get heavy on this stretch. Stop and go traffic much of the time on Saturdays and Sundays in the summer is not uncommon. 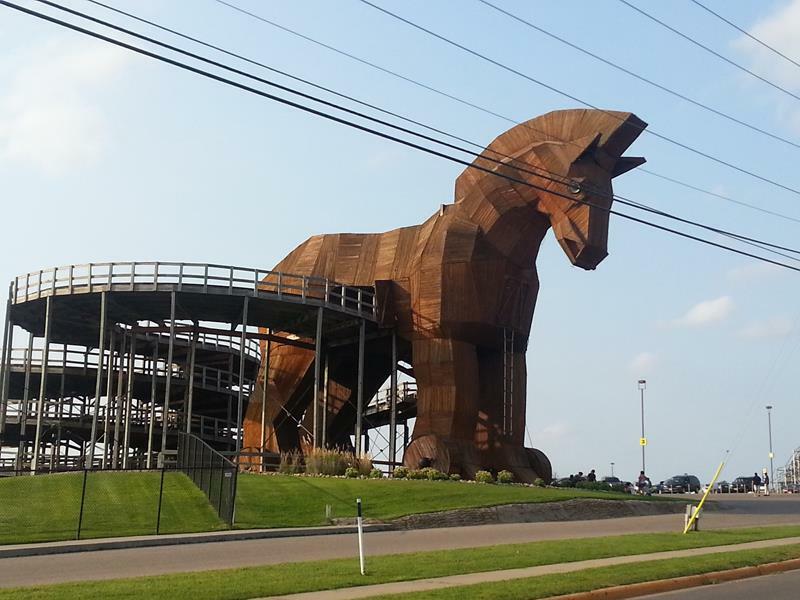 It’s hard to miss the World’s Largest Trojan Horse along Highway 23. A ride passes through it; no word on if anything else is hiding inside. Meanwhile, Highway 23 joins up with Highways 13 and 16, breaking east to hop over the Wisconsin River and enter the energetic strip that marks downtown Wisconsin Dells (pop. 2,418). 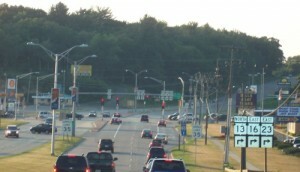 At the intersection coming up, U.S. 12 and Highways 13, 16, and 23 all converge. I-90/94 is less than a mile to the west via Highway 13. In addition to being home to the amphibious World War II vehicles known as the Wisconsin “Ducks” (which started in 1946) and Tommy Bartlett’s Water Ski & Jumping Boat Thrill Show (which made the Dells its permanent home after an amazingly successful temporary stop in 1952), Wisconsin Dells’ selection of waterparks is unparalleled anywhere in the world. 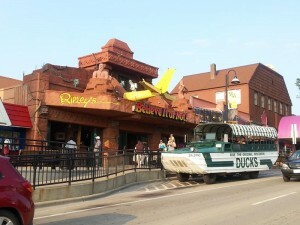 One of the Wisconsin Ducks in front of Ripley’s, believe it or not. – The Wilderness Hotel and Golf Resort’s indoor and outdoor waterpark space combined covers the space equivalent to six football fieldsAnd if you want fudge shops, only Mackinac Island in Michigan can compete with the downtown strip along Highways 13/16/23. 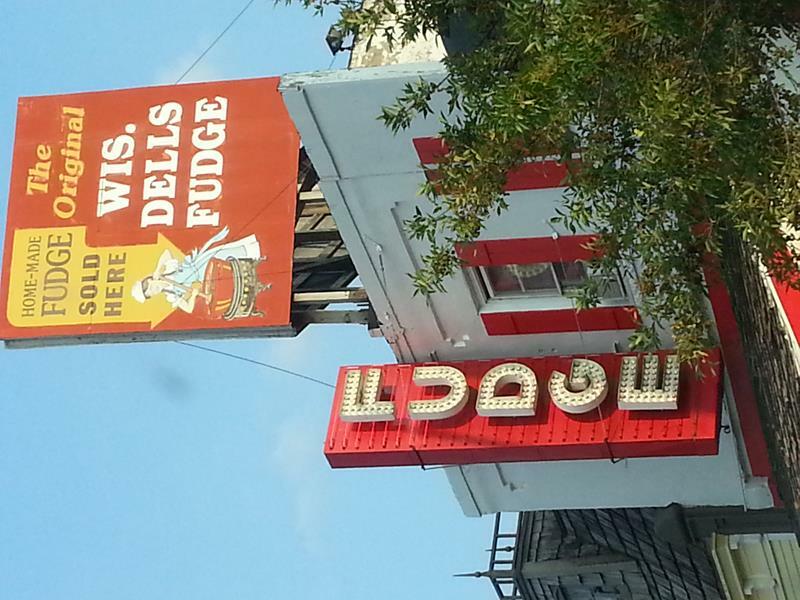 Mmmm… fudge. “The Strip” features t-shirt stores that seem to repeat every 100 feet or so. But there are also a ton of unique – or just not too common – things. 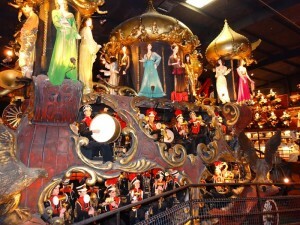 Among them: Ripley’s “Believe It Or Not!” Museum, one of only two in the U.S. (the other is in Jackson Hole, Wyoming); the Rick Wilcox Theater; and waterparks a’plenty. Feel like going extreme? Extreme World features a 130-foot high bungee jump, a skycoaster and for those who prefer to stay on the ground the whole time, a big selection of go-karts and tracks. 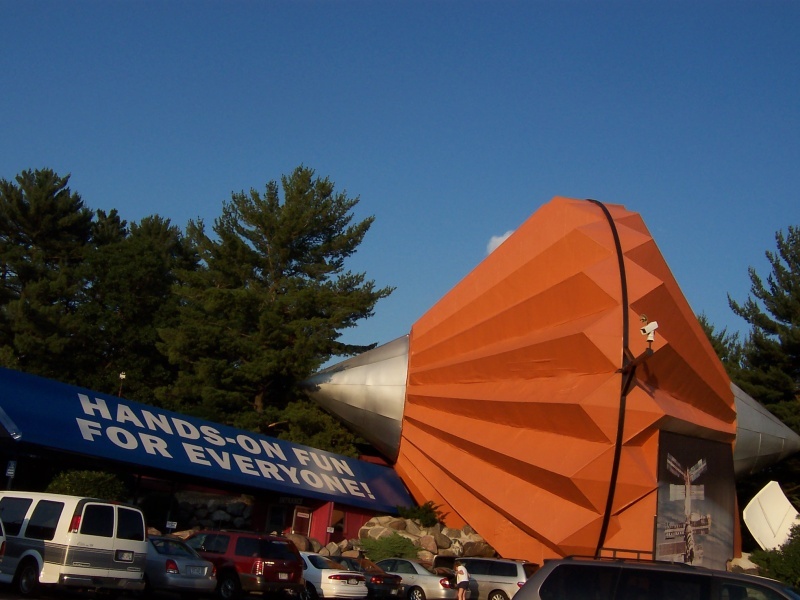 Plenty of sights to see along Broadway, the stretch of Highway 23 where it goes through the heart of Wisconsin Dells. Highways 13 and 16 run with 23 here, too. Nig’s Bar, pictured at night just above, is one of those places advertising itself via t-shirts that people wear (“I had a swig at Nig’s”) all over the place… you’ve probably seem them. 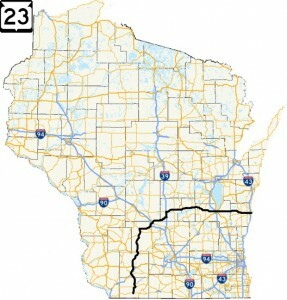 Basically, Highway 23 goes through the Dells’ two main areas: through Lake Delton with U.S. 12 as Wisconsin Dells Parkway, and then with Highways 13 and 16 as Broadway on the main drag through Wisconsin Dells itself. 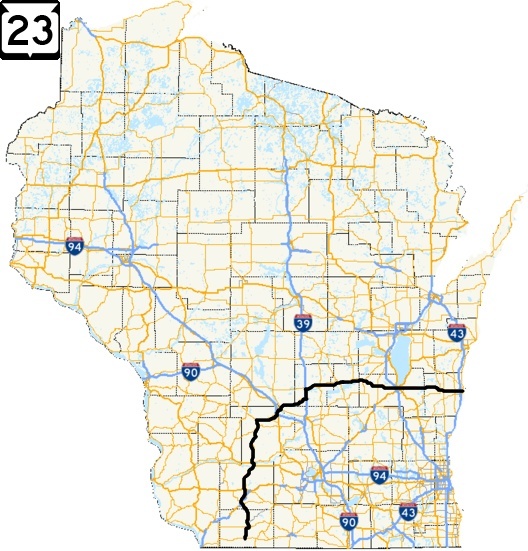 This basically marks a change where Highway 23 stops bring a route through the Driftless Region on Wisconsin and becomes more of an east-west main road across east-central Wisconsin. This is part of the “dells” in Wisconsin Dells. A boat ride reveals all kinds of rock formations along this stretch of the Wisconsin River. 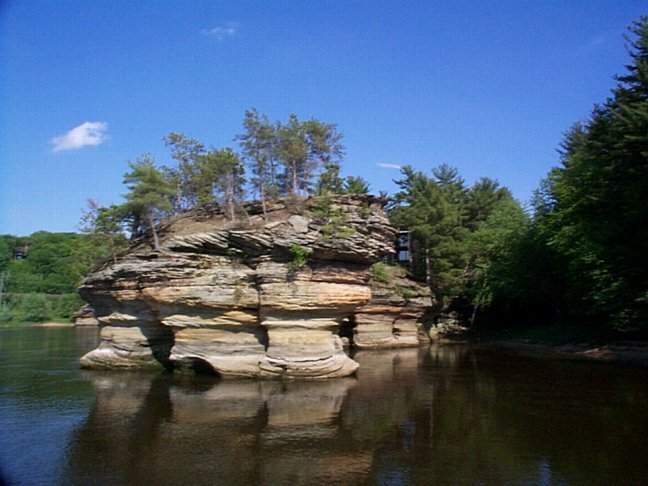 These dells were formed about 15,000 years ago during the last Ice Age. 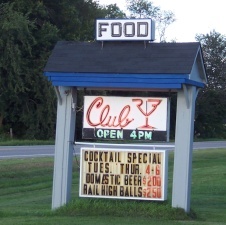 Club 23 along Highway 23 just east of the Dells – we love places named after our highways! 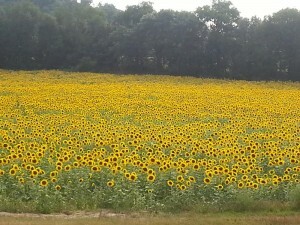 At the east end of Wisconsin Dells, you’re suddenly in the countryside again. 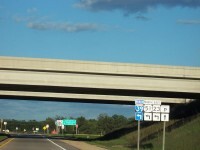 Highway 16 breaks off southeast towards Columbus and Milwaukee; Highway 13 heads north toward Wisconsin Rapids and Ashland; and Highway 23 meanders east. 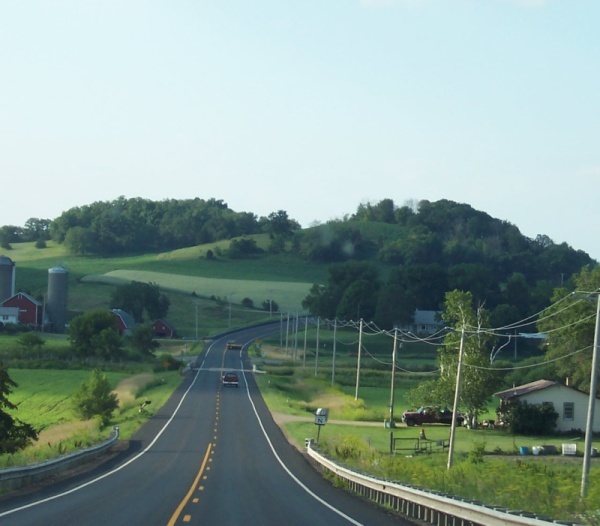 This stretch deals with a lot of county corners; in about a 14-mile stretch, you go from Sauk County back in the Dells, to Columbia County on its east side, to a southeastern sliver of Adams County to the far southwestern corner of Marquette County. There, you reach the little town of Briggsville which, while unincorporated, is still the largest settlement between the Dells area and the freeway that lies ahead. Highway 23, going gently through the quiet town of Briggsville. 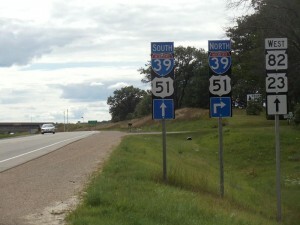 Eventually, Highway 23 joins the “backbone” of Wisconsin, the I-39/U.S. 51 freeway. The highway heads north on it for about six miles. One exit brings to you little Packwaukee, which lies on Buffalo Lake, an elongated stretch of the Fox River as it heads up to Lake Winnebago. This is prime fishing and hunting country in the heart of Marquette County. At Exit 106 from I-39/US 51, Highway 82 begins to the west and goes all the way to DeSoto and the Mississippi River; meanwhile, Highway 23 continues east away from the freeway for the next leg, now as a more major artery across the eastern half of the state. 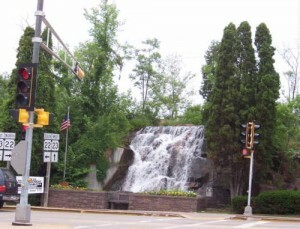 Highways 23 and 22 come together in downtown Montello, with rock formations and waterfalls making things much more interesting. 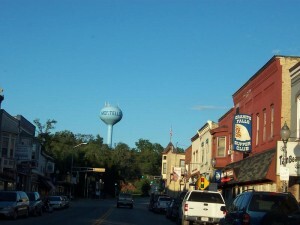 Montello’s downtown area, which runs along Highway 23 (and 22, since for about a half mile they’re combined) offers crafts from local artists and the numerous Amish communities in close vicinity of the town. 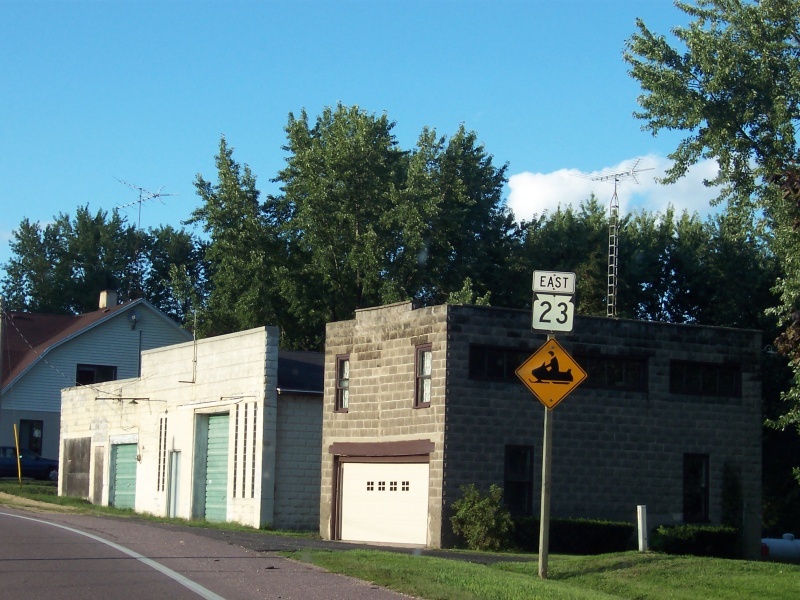 Highway 22 breaks north for Waupaca, and we continue east on Highway 23 for the short ride to another shopping and antique destination, Princeton (pop. 1,214). 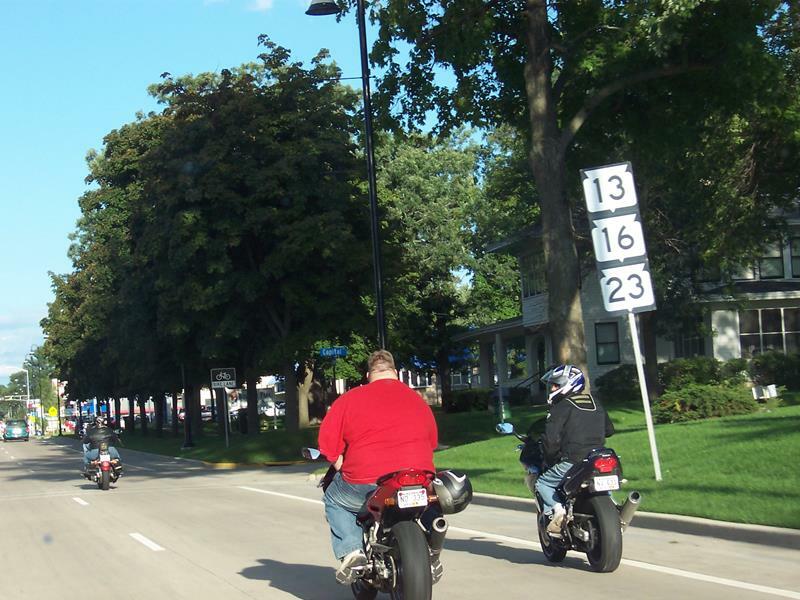 Highway 73 joins in for the ride through town, where Highway 23 serves as Main Street. Much of the shopping action is a block south along Water Street, east of the Fox River crossing in a district called the Shops of Water Street. Both along Water Street and throughout town in “off-the-beaten path” areas, you’ll find boutiques and – amidst such a rural region – a number of urban flair shops with offerings from clever coffees to hand-blown glass, vintage arts, accessories, and antiques. Two larger antique malls are also in town – there’s likely something to find for everyone, no matter their taste. The Princeton Flea Market is the largest weekly outdoor flea market in Wisconsin, held April through October on Saturdays in City Park. Admission and parking is free and not only are the items for sale a lesson in interesting variety, so is the food offered by vendors – it goes beyond the typical fare. 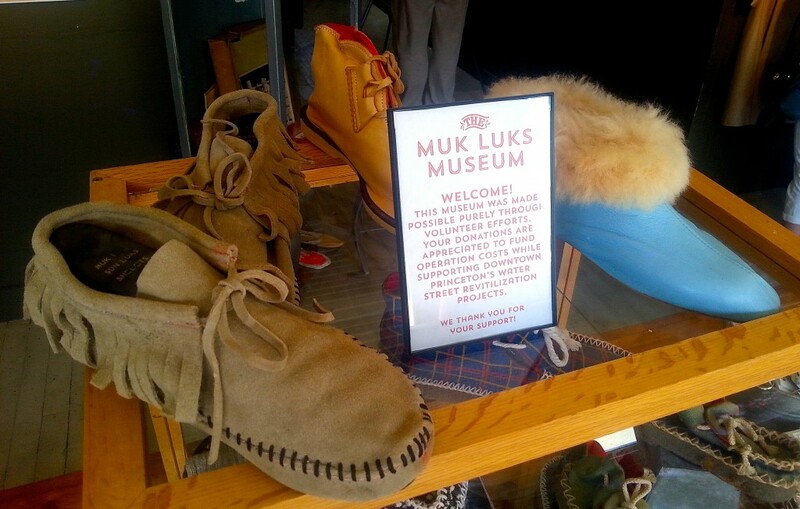 Along the Shops of Water Street, fans of comfy footwear might want to check out the Muk Luks Museum, an homage to the famous brand that originated in Princeton. A variety of the styles, artifacts, tools, shipping materials, and more from back in the day can be found. It’s open Saturdays, the peak shopping day in town. A few miles east of Princeton, Highway 73 breaks away and heads south through a gap between Puckaway Lake to the west and Green Lake to the east. Green Lake is Wisconsin’s deepest inland natural lake; it averages 100 feet deep (compared with 15 feet for Lake Winnebago, for example) and a maximum depth of 237 feet. Green Lake isn’t only deep, it’s pretty big… 11.5 square miles. It’s one of the last lakes around to freeze in water and thaw in spring but it’s one of the best in the state for fishing. Joe Gotz pulled a 35-pound trout out this in lake in 1957 and everything from northern pike and walleye to crappier and perch can be found here. The lake has featured numerous resorts and hotels since the 1800s, although many of the early ones burned down – as hotels often did in the late 19th century. 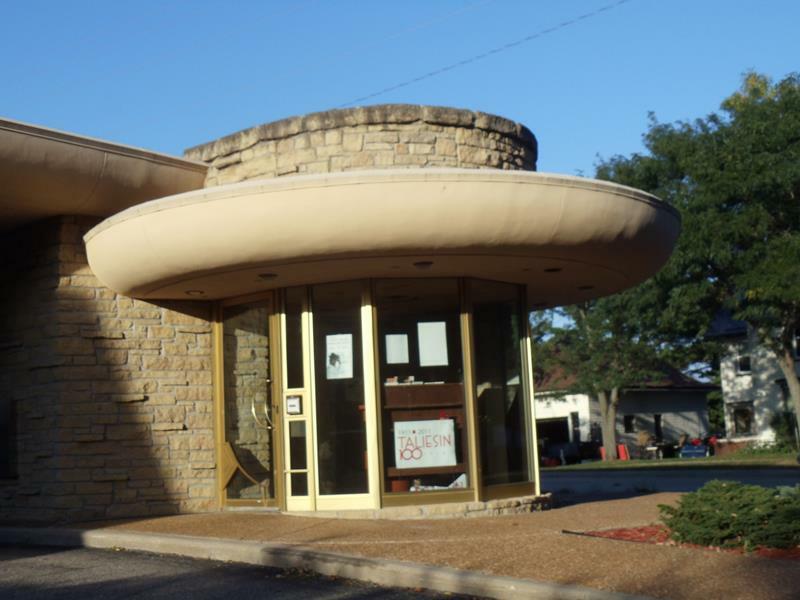 Golf courses have remained and thrived, with Tuscumbia dating back to 1896 and nationally-ranked Golf Courses of Lawsonia offering its Links and Woodlands courses that include lakeshore panoramic views. The epicenter of the area’s vacation and recreation activities focus on the city of Green Lake (pop. 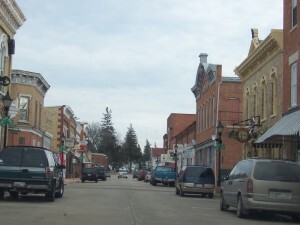 960), the seat of Green Lake County. 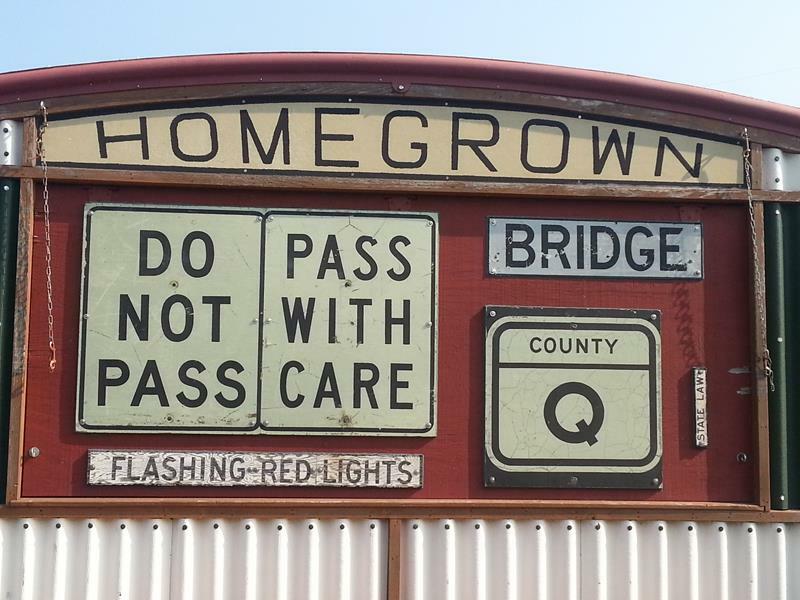 Highway 23 skims the northern edge of town today but “Business” 23 brings you towards the center of town, and it’s worth exploring. 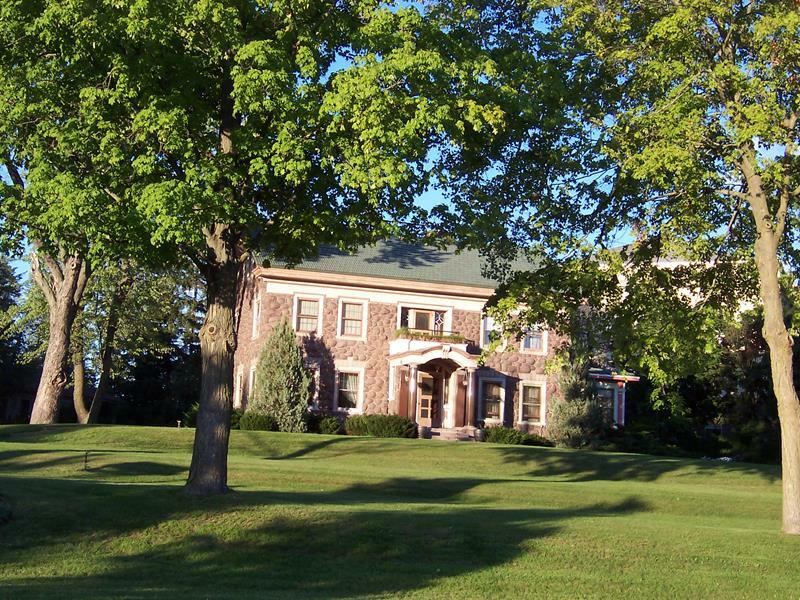 Green Lake is home to resorts like the famous Heidel House, which lies on the eastern banks of the lake southeast of the town center, and the Green Lake Conference Center, founded in 1943 by American Baptists. Its Judson Tower carillon provides some chimes for golfers on the Lawsonia courses, since they’re located on the same large grounds just west of town. Downtown Green Lake offers shops, bars, and restaurants, and lakeside parks that cater to vacationers and recreational visitors. Also downtown on Mill Street, the historic Thrasher Opera House opened in 1910 and hosted everything from vaudeville performances to (very) early movies into the mid-20th century before – as most performance venues did back in the day – close and fall into disrepair. A restoration brought Thrasher back to life, and today it’s once again a hub for activity in Green Lake. 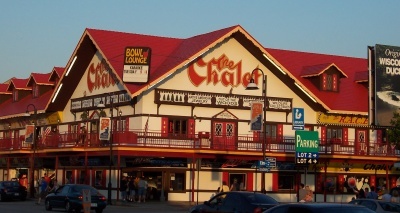 Many theatrical, comedy, and musical performers come through here now, including many national acts – not much opera, though. But in our minds, that’s perfectly fine; we’d be thinking about Adam Sandler as “Opera Man” on SNL anyway. At Green Lake, Highway 49 joins in from the north and Berlin (pronounced BER-lin) for the ride with Highway 23 east six miles into Ripon (pop. 7,733), a college town with a history of debate and cookies. Ripon was named after the English cathedral city of Ripon, North Yorkshire, in 1849 when it was first settled. 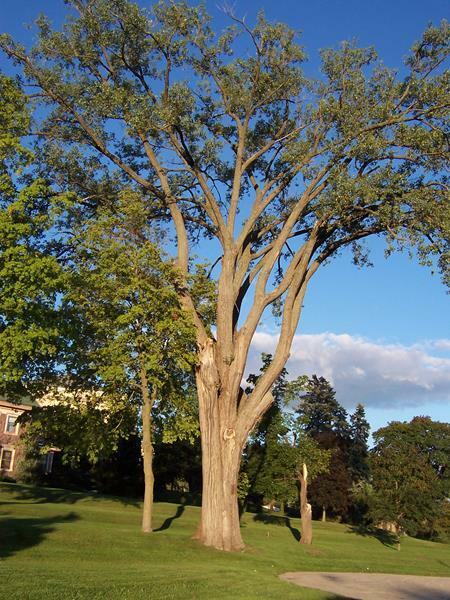 The 1850s were busy for Ripon; in 1851 city founder David Mapes founded Brockway College, which evolved into Ripon College. Three years later, the Republican Party was founded in Ripon’s “Little White Schoolhouse” – which happens to be located right along today’s Highway 23/49. It’s all part of Ripon’s downtown, where Highway 23/49 wraps around the northeast side of the downtown square. 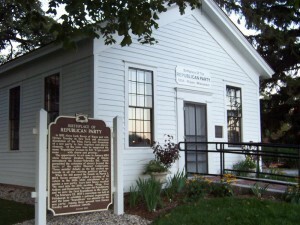 The “Little White Schoolhouse”, where the Republican Party was founded on an anti-slavery platform in 1854. Ripon influenced the Golden State when former Ripon, Wisconsin resident Amplias B. Crooks (names were rather interesting back then) moved to Stanislaus City, California and started a store. Unhappy with the town’s name, he had it changed to Ripon, California in 1874. Ripon was also home of the NFL for many decades. Really! We’re talking the National Forensic League, an organization dedicated to training students in communication and debate skills. Founded in 1925, it’s the nation’s oldest and largest debate and speech honor society. Alums of this NFL include President Lyndon Johnson, Senators Russ Feingold and Bill Frist, Oprah Winfrey, Ted Turner, Kelsey Grammar, Shelley Long, Jane Pauley, CSPAN founder Brian Lamb, Supreme Court Justice Stephen Breyer and more. They changed their name to the National Speech & Debate Association (less cool, but easier to interpret) in 2013. Either way, if you stop in town and get into a debate with someone, be prepared. There could be a speech and debate expert that’ll mop up on any topic. Ripon College counts among its graduates and students people like actors Spencer Tracy and Harrison Ford, singer Al Jarreau and more recently Brittany “McKey” Sullivan, a recent winner on America’s Next Top Model. Ripon College students, like other area residents, generally revel in the fact that the town is home to Rippin’ Good cookies (now owned by ConAgra Foods, which is reducing production ) Ever had the Mint Creme Cookies? If not, you have yet to live to the fullest extent. The Rippin’ Good Cookie Outlet can be found just north and east of downtown Ripon, at 420 E. Oshkosh Street, which is also Highway 44 (920-748-0293 if you want to call ahead). It is generally open Monday-Friday 8am-4:30pm and Saturday from 8am to 1pm. Prepare for sugar and goodness. Fond du Lac, Plymouth, Kohler, Sheboygan and everything in between has been toured and will be posted shortly!